Sally Gardner is LGI Artist-in-Residence (Out-of-Time) at WXYZ Studios from 19 March to 4 June. 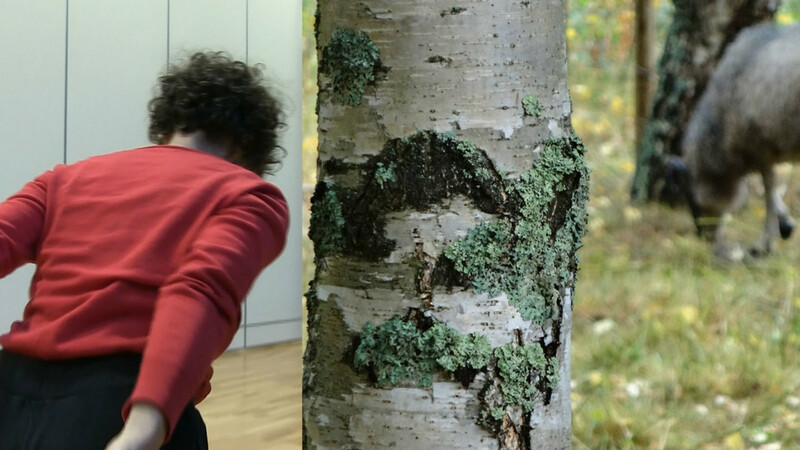 This LGI Residency is part of an ongoing research into movement compositional ideas derived from the approach invented by the late Israeli artist, Noa Eshkol. “I’ve been involved in modern dance for decades. I’m interested in dance history as a source for contemporary practices. In particular I’m exploring some ideas that have come from research I’ve undertaken into the work of the late Israeli artist Noa Eshkol. She developed a compositional notation system (EWMN). The photo is one of a series of composites where I have used my personal archive of snap shots taken in various international locations during my dancing life. In putting images together I look for a movement passing from one side to another. “My dance formation took place in London and NYC. I studied key styles and with seminal choreographers of modern and post-modern dance. I danced with Dancework (UK); Robert Kovich, Judith Moss, Sara and Jerry Pearson (NYC); was a founding member of Dance Works (Melbourne) and have been guest performer with Dance Exchange (Sydney) and Lucy Guerin Inc. I have independently received Australia Council funding. LGI Residencies offer artists the freedom to explore new ideas, develop new works and cultivate their choreographic practice. Studio space and administrative support are offered by LGI, as well as the opportunity to share outcomes of the residency in a way that best supports the artist in residence. Out of Time residencies take place during evenings and weekends. This format offers choreographers more flexibility in their schedule as well as optimising the use of these stunning studio spaces. Keep an eye on LGI’s Facebook and Instagram for updates on all LGI’s artists-in-residence.